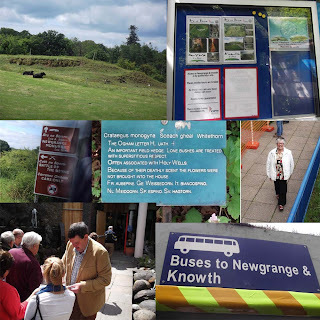 Over 40 members and friends were on the coach to the Boyne Valley on Sunday last, 19 June. 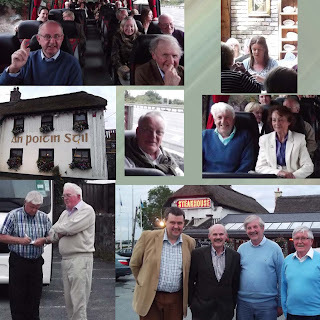 Vice-chairman Eddie Sinnott remembered that 12 years previously as chairman he had to announce that the coach trip had to be abandoned, and it was his great pleasure to launch the revival of the all-day outing.We stopped at An Poitín Stil, Rathcoole, for tea and scones and other members joined us there, including Dr Pat McCarthy, expert in Military History. En route to Brú na Bóinne we stopped briefly at a site where troops had been posted during the battle, unfortunately it was not possible to step out. 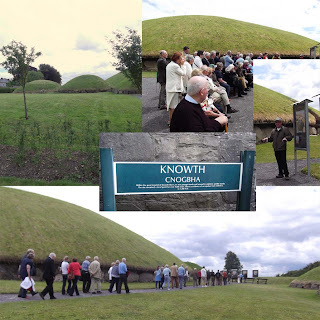 At the Brú na Bóinne Visitor Centre, a short film gave a brief outline of the meaning of Newgrange, Knowth and Dowth. We had a look at the exhibits then took the shuttle bus to the site. 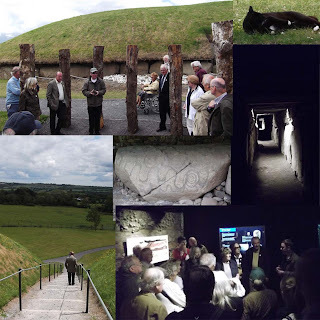 The guide was excellent and explained the complex history of the area and the structure of the passage tombs. He pointed out the various examples of megalithic(=giant stone) art (one-third of the megalithic art in Western Europe is contained there), it seems that the serpentiform (snake-like) motif is uncommon. 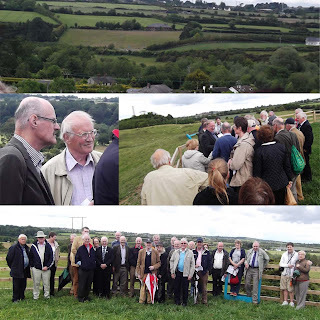 Outside, we saw the outline of the ruins of a 12th century structure, and climbed to the top of the tomb to enjoy the view of the valley, with the Hill of Tara on the horizon. 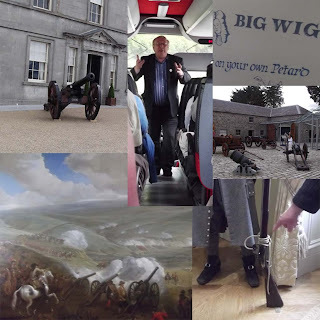 Back on the bus, to the Battle of the Boyne Visitor Centre. After a quick snack, we had a most interesting guided tour of the museum and watched an audiovisual presentation of the battle. A few minutes later, we were through our mind's eye and with the help of Pat McCarthy, at the heart of the action, picturing on the horizon the troops from either sides converging on the battlefield. We went back to An Poitín Stil for an excellent dinner before heading home.